SACRAMENTO (JobJournal) -- Of all the subjects we cover in career management and job search, the one that seems to cause clients the most anxiety is INTERVIEWING. To ease my clients' concerns, I often simplify the topic by reducing it to a handful of basic elements. When you boil it all down, job interviews are made up of only five statements from the interviewer, which include four questions and one request. Sure, you'll be asked more than five questions, but they ALL seem to be variations on the items listed below. Each of these questions has to be 'nailed' in a job interview, and each has a different strategy to answer it. 'Winging it' just won't do! This is the open-ended invitation that, on the surface, seems harmless. Yet, how you answer it may spell the difference between landing a job or being pushed out the door to seek some other position. You have to know yourself first - your strengths, your weaknesses, your likes, your talents and your goals. The best way to answer this question is to give your 'Positioning Statement,' which is a one-paragraph summary of your career background, strengths, expertise and objective. This question seeks to determine if you know anything about the job and the company. The most effective answer is to connect your talents, contributions and attributes to the employer's needs, problems and challenges. You can only do this if you've done your homework and have gathered all the necessary research. The best way to respond is to tell several relevant 'Accomplishment Stories' that prove you have the right kind of experience for the job. Of course, the interviewer will not actually use those words. She might couch the question in more polite terms, but what she is trying to find out is why you're unemployed, or underemployed, or why you've had so many jobs, etc. As the candidate, you need to acknowledge these sorts of career challenges in advance; then prepare and practice your responses. Your answers must be worded in such a way that they are fully positive and elicit the responses you desire. When it comes to 'the salary question,' you want the other guy to make the first move. Do thorough research in advance to determine the likely salary range. Make it clear that your interest in the job is not all about pay. Say that you'd be happy to discuss compensation once a mutual interest has been established, and get back to discussing your relevant accomplishments. 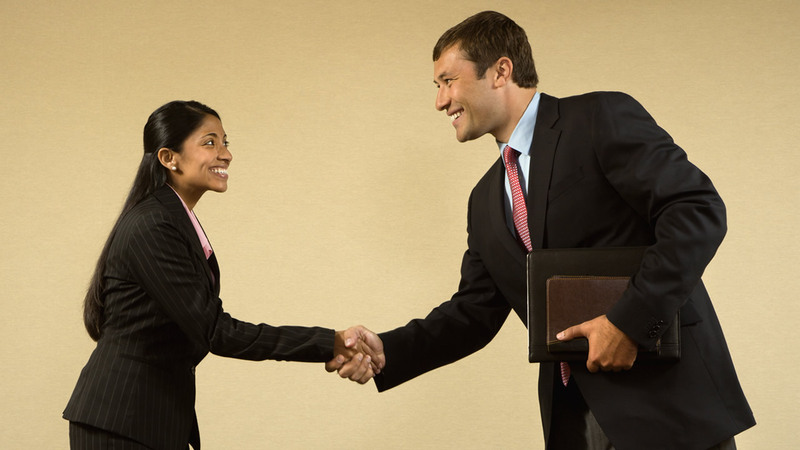 Tell the interviewer that you want the opportunity, and that you expect the company will make a fair salary offer. This doesn't mean you will necessarily accept that offer, but it means they will have to 'draw' first. Once you receive the initial offer, always negotiate up from there. Take an active stance, not a passive one. Be sure to discuss 'next steps' before you leave the interview. Ask the interviewer directly how your qualifications compare to those of the other candidates. Display your excitement about the job and the challenges it poses. Let the interviewer know how and when you'll be back in touch. Don't leave all the power in the hands of the interviewer; this should be a mutual decision-making process. Since almost every interview question is a variation of the themes listed above, there's no need to worry about the hundreds of questions you MIGHT be asked. If you go into the interview focused on addressing just those five basic areas, you'll feel more confident and less overwhelmed. The more practiced and articulate you are in responding to the five fundamentals, the better chance you'll have of landing the job. But even if you don't get the offer, you'll be even more well-prepared for the NEXT interview!